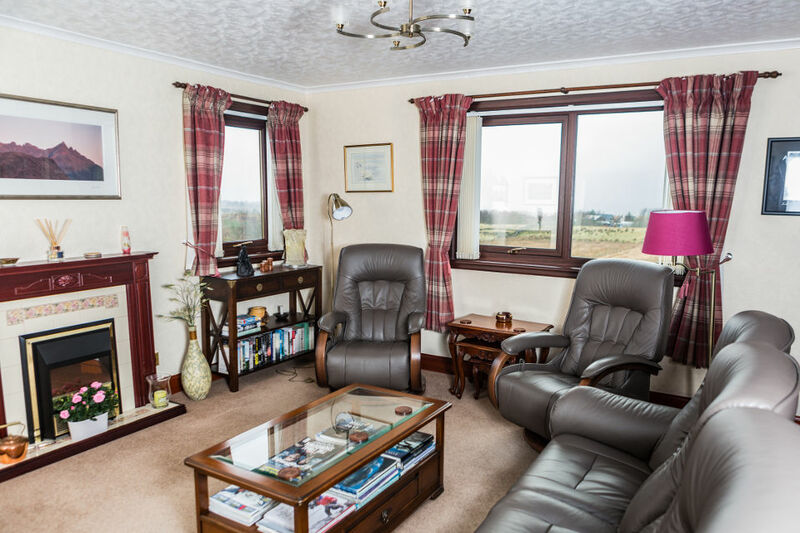 Furnished to a high standard the "Hamish" is a spacious double room offering sensational sea views across Broadford bay to the Cuillin hills and the islands of Pabay, Scalpay, Raasay and Rona. Facilities include a generously proportioned en-suite shower room with wash hand basin and WC. 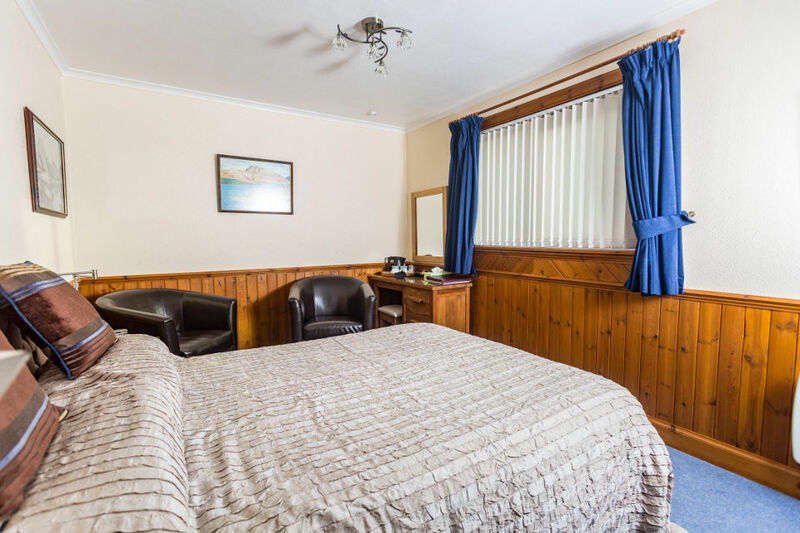 There is plenty of wardrobe space in the bedroom as well as a TV, tea & coffee making facilities, a hair dryer, an alarm clock and also a set of binoculars to enable you to enjoy the view from your window. 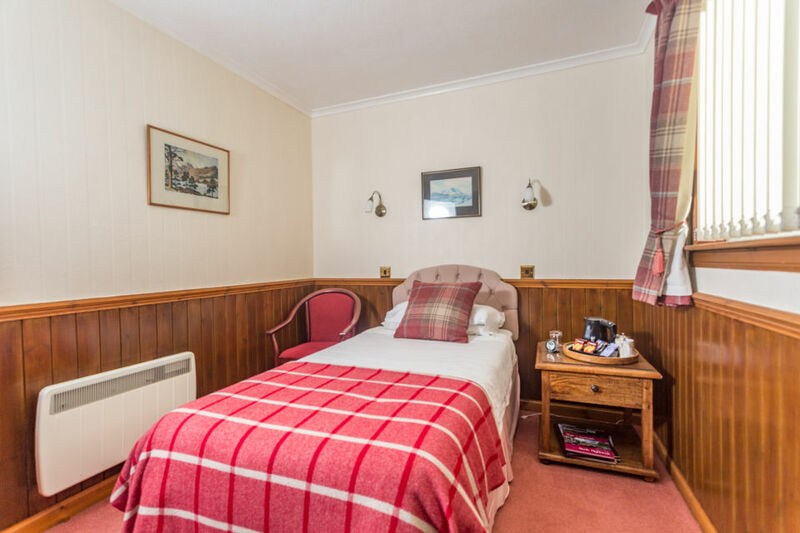 The Heather room is a double room which has been refurbished to a high standard. Facilities are similar to those on offer in the Hamish room. The Seathrift room is en-suite and has wonderful views of the Sleat hills. As with the other rooms the Seathrift is well equipped. NB All rooms are non smoking and are fitted with smoke alarms. The lounge is available for you to relax in during the evening and make plans for your next day. There is a library of books with a mainly local and Scottish theme as well as a wide selection on walking and climbing.